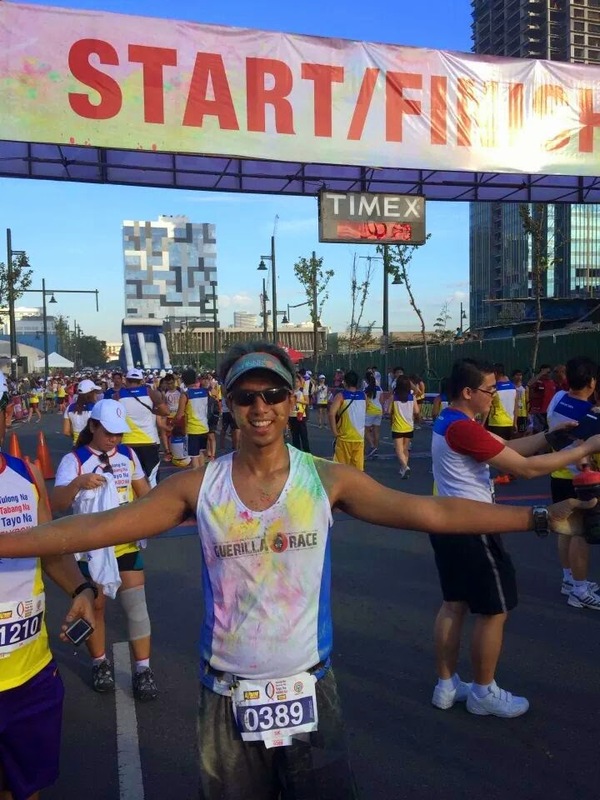 On the first week of May 2011, I joined my first running event. 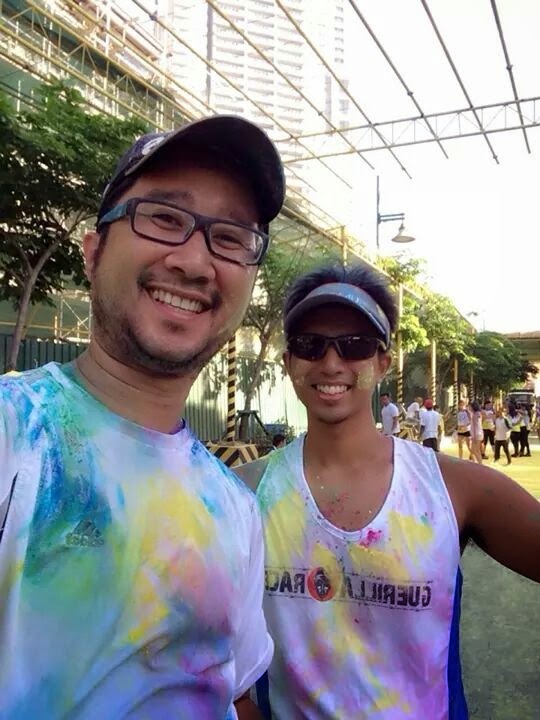 Four years later, I decided to join the DZMM Color Run 2014 on May 4, 2014 at BGC to celebrate my runniversary. 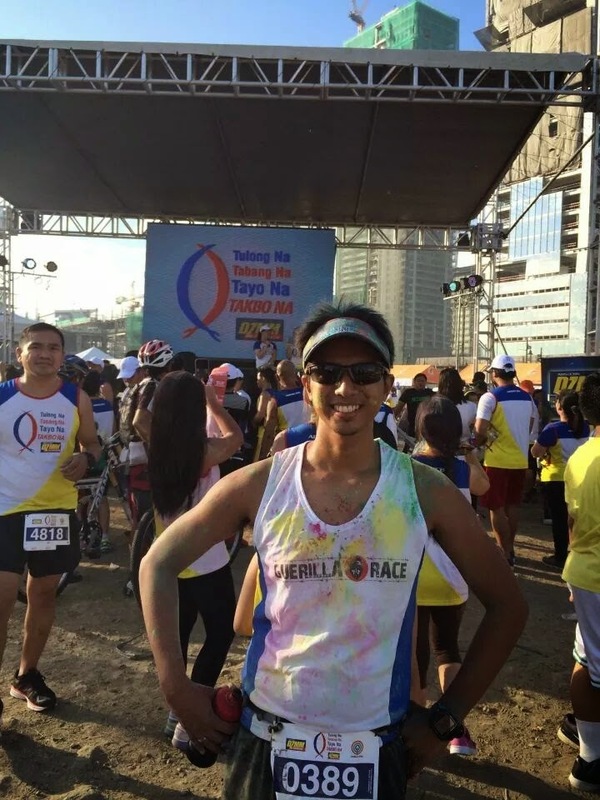 I haven't been training actively in running and I haven't targeted to join any running events. But it was my runniversary on the first week of May and I wasn't going to let that pass without a proper celebration. I wasn't planning to run seriously so I tagged my roommate along and enjoyed this themed run. Our new place was 30 minutes away from our old one so I over-estimated our travel time and we were there extra early. We took that time to take pictures in the venue and prepare ourselves. The warm up was headed by the recently concluded (at least then) Biggest Loser finalists. We joined in jumping up and down with the crowd. At around 6:00 am, we started running. We did run walk as we didn't train running all the way for 5km. We stopped and enjoyed each color station. And it took us an hour to finish the race. After the race, we changed out of our color powder filled running attire and had breakfast at a nearby restaurant. Later in the day, I washed the color off and it was easy to take it off. It was a great race with cool and ample hydration. 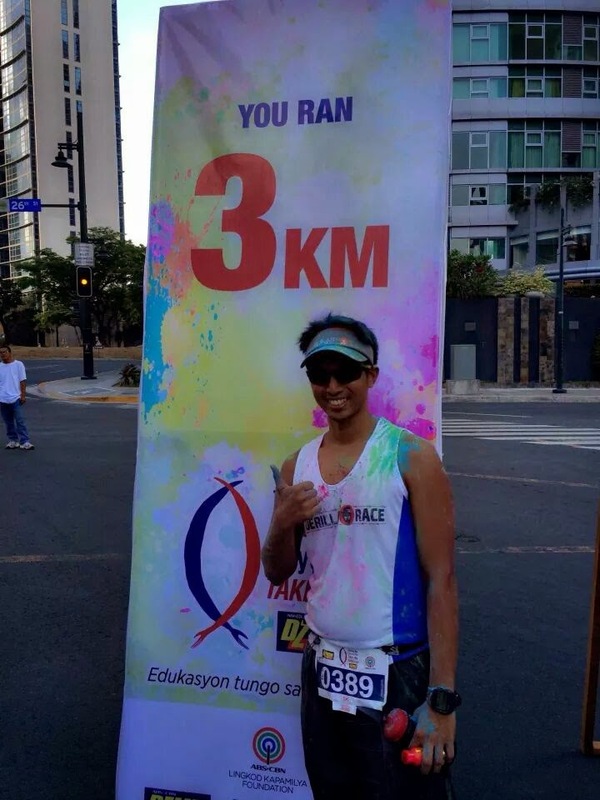 Color ran out in some of the stations but the marshals improvised so those (like us) who wanted to be filled with color weren't disappointed. Participants who ran fast didn't get any color as the color marshals throw the powder slow. 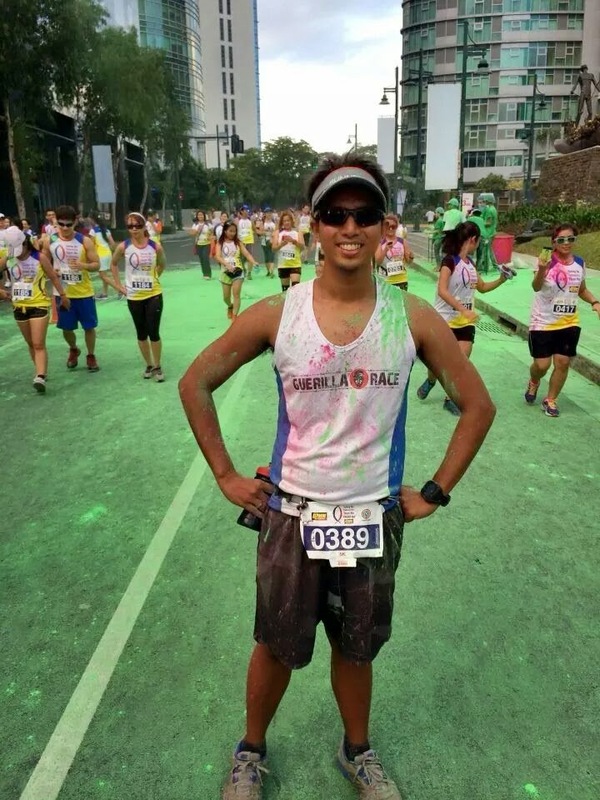 The color powder stinks but the run event was fun, overall.